Efficiency of the Market (Efisiensi Pasar) terdiri dari Allocative efficiency, Price efficiency, Informational efficiency, dan Operational efficiency. Allocative efficiency - Allocative efficiency implies that funds should be channelled into financially desirable projects. 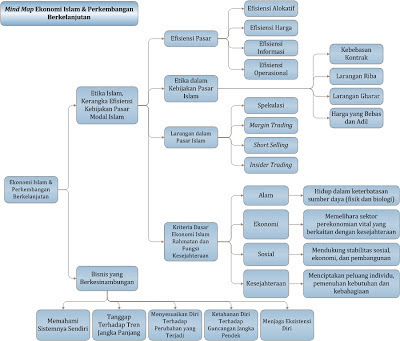 Price efficiency - Price efficiency of stocks must be equal their respective fundamental values at all times. Pricing efficiency is a prerequisite for allocative efficiency. Informational efficiency - Equality between prices and value of a stock can only be achieved where there is informational efficiency. Operational efficiency - In operational efficiency, transactions should be executed at minimal costs. Thus both informational efficiency and operational efficiency are pre-requisites to pricing efficiency.